Pier 32 Marina is pleased to be the finest marina in San Diego. Tenants will enjoy first class amenities and state-of-the-art waterfront facilities. A copy of the current vessel registration or documentation is required prior to approval of this application and yearly at the time of documentation/registration renewal as long as the vessel is moored at the Marina. All persons named on the registration/documentation will be required to sign the final Wharfage Contract. 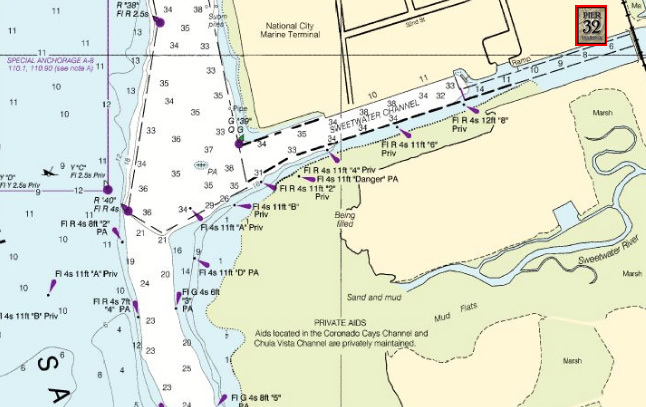 A “Certificate of Insurance” listing Pier 32 Marina as the ADDITIONAL INSURED is required prior to rental of this slip and yearly at the time of insurance renewal for as long as the vessel is moored at the Marina. If Insurance is “Continuous” – proof of such status must be furnished to the Marina Office. NOTE: Progressive Insurance is unable to provide Liveaboard insurance at this time and will not be accepted if the vessel in question is designated with Liveaboard status. A current color photograph of the vessel is required prior to approval of this application. All vessels are subject to marina manager’s inspection and approval. There is total deep water access from San Diego Bay to the entrance of the marina. Enter Sweetwater Channel at green buoy #39. 32 deg 39.02′ N Latitude 117 deg 06.43′ W Longitude. Are you interested in our slip services? Please tell us a little bit about your boat.